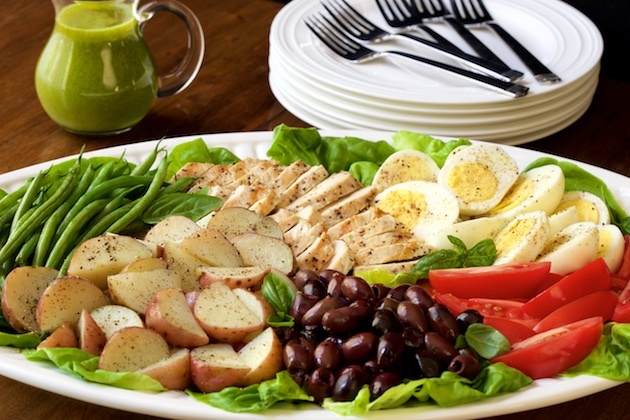 Brunch is one of those special occasion meals that celebrate a gathering of friends or a celebration. But it shouldn’t be saved for a few times a year. 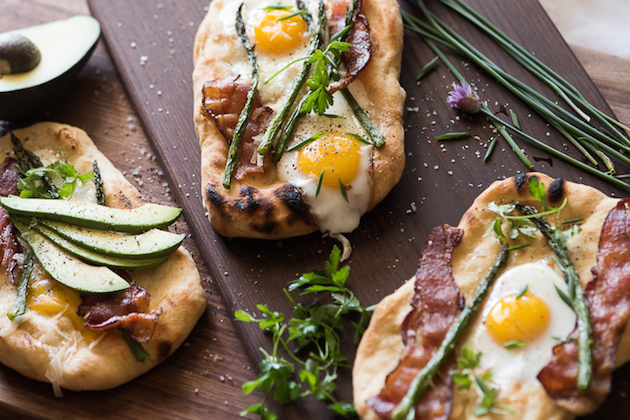 We’re proponents of brunch al-fresco, and that means using our favorite KitchenAid® Stainless Steel 8 Burner Gas Grill! For the long weekend ahead, I just love to take advantage of the natural beauty of fresh berries. They’re so pretty and colorful, and they make everything they grace look so patriotic. 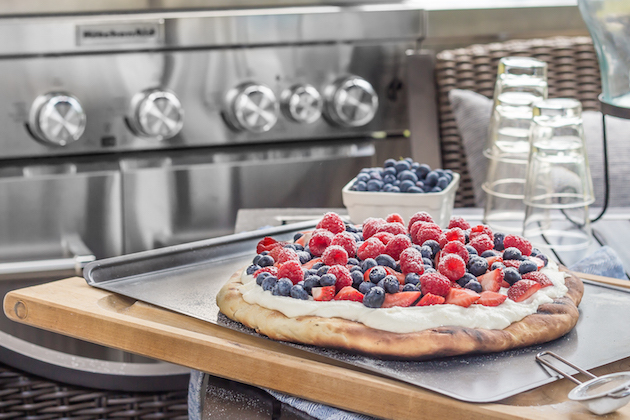 This red, white, and blue flatbread makes a great snack or dessert for your celebratory cookout. With the Fourth of July right around the corner, I decided to wander off the beaten culinary path and do something a little different. While hamburgers and hot dogs are fun and enjoyable, it seems that many of us are trying to eat healthier, lighter and leaner these days. Our dads always love their burgers, but their all time favorite meal is a good rib-eye steak. 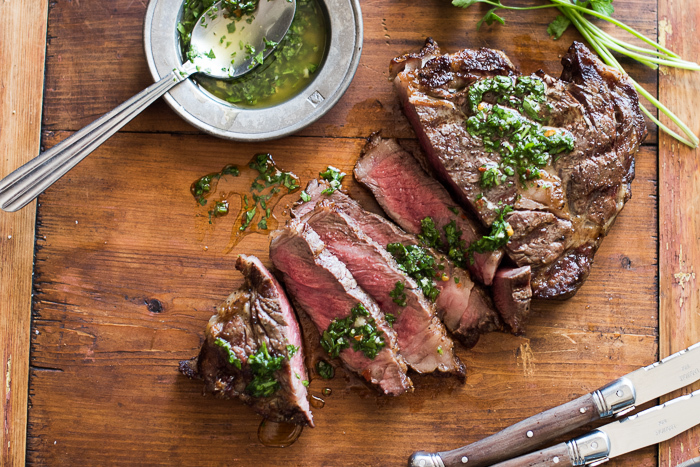 And the best way for us to celebrate Father’s Day with them is by making a juicy rib-eye steak with a nice extra charred crust and a chimichurri sauce to rock their world.